I am very excited to announce that I have just launched my new “Garden Designer In Your House” package which is aimed at clients who want to design and build their own garden but who would like some input from a professional designer. Fiona Humberstone of Flourish Studios helped me to develop the idea in one of our marketing strategy sessions and, as a result, she very kindly agreed to be a practice client – a perfect candidate for the job as she and her husband have been planning some changes to the garden and although they had very clear ideas about what their dream garden would look like, they were finding it a challenge to pull everything together. Our session together was great. I measured up and we discussed their thoughts about the garden and which practical elements were to be included. We then put pencil to paper and worked through the design together so that by the end of the session they were left with a master plan that they will be able to develop and implement themselves. 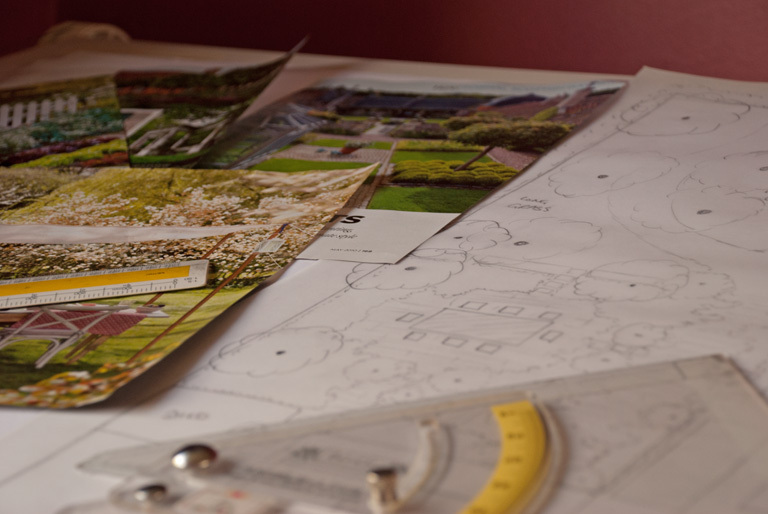 I always involve my clients as much as possible in the design process, whether they are commissioning me to produce a conceptual idea or a full set of working drawings, as I passionately believe that without their involvement it will be very difficult to design a garden that is tailor-made for them. This becomes even more important if my clients want to build the garden themselves, see it evolve and feel that sense of achievement when they look back at how it’s changed. So how will the new Garden Designer In Your House package work? Well, depending on the size of the garden I will spend between half a day and a full day on site with the client. 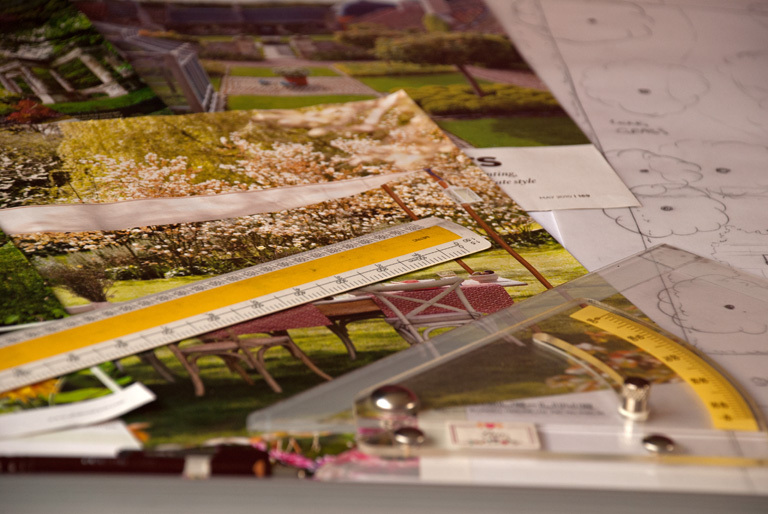 I’ll measure up, take a brief, walk through the mood board they will have prepared before the session and then get stuck into the design with the client. By the end of the session they’ll have an concept design that they can take away, develop and enjoy implementing themselves. Lisa I am so excited you’ve launched this! I really can’t recommend this service highly enough. The service has worked so well for us – I’m so excited about the plan for the garden and keep looking at the drawings and smiling. We got so much out of the session and were bowled over with how much energy and expertise you put into the garden. Although I knew exactly what ‘areas’ I wanted, I really couldn’t visualise how it was all going to work together and I certainly hadn’t thought about how we’d want to move around the garden and what paths we’d need. I loved so many of your ideas and I can’t wait to build it. Wow, thanks Fiona! Enjoyed working with you both and SO glad that it has proved to be really helpful to you….can’t wait to see the finished garden!